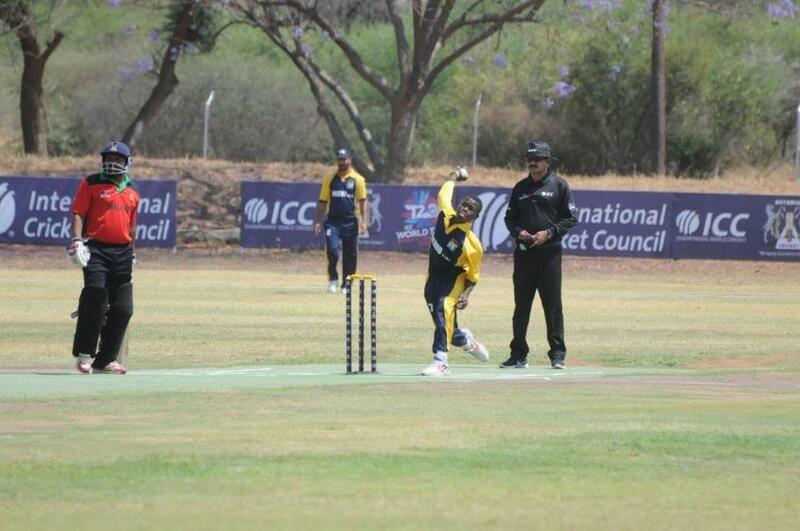 The ICC World T20 Africa C Qualifier concludes with Botswana and Namibia taking part in the showpiece match today. The headline acts have stood out, and they both go through to the Africa Finals in Uganda next year. But, there has been another story brewing over the course of the tournament. Mozambique, with a young but enterprising attack, have got better and better as the tournament has gone on. Felipe Cossa has bagged the most wickets, but theirs has been a collective effort, and they have impressed with their uncomplicated approach. Given time to develop, they will be serious contenders in future tournaments. On the fifth day of action, Mozambique again impressed, with an efficient, seven-wicket defeat of a wilting St Helena. Cossa took three for 10, to sign off on a terrific week’s work, as St Helena were contained to 123 for eight. Damiao Couana then settled proceedings by clubbing 52 from 38 balls, handing Mozambique a seven-wicket win, with 29 balls to spare. Mozambique had their colours lowered in the afternoon, as Swaziland’s Haris Rashid (four for 23) and Shehzad Patel (78 off 54 balls) blew them away. Mozambique had been bowled out for 145, despite a fighting 59 from Couana. Patel then blazed five sixes and six fours to bring matters to a swift end, Swaziland triumphant by eight wickets. In other morning action, Botswana swept past Lesotho with ease. The landlocked kingdom could only reach 99 for 9 in their allotted overs, with Sarfaraj Patel’s 46 the only bright spot. Botswana reached three figures four down, with the ingeniously named Inzimam Master marshalling them home with 34 not out. St Helena’s lessons were not over for the day, and they were given a 90-run hiding from the rampant Namibians. The tournament thoroughbreds scored 180 for eight, though they needed lower order runs from Zhivago Groenewald to get there. He struck 50 not out, while Christopher Coombe helped out with 37, to rescue a situation that had tumbled to 64 for five. Andrew Yon took four for 27, to briefly give the islanders hope of a major upset. 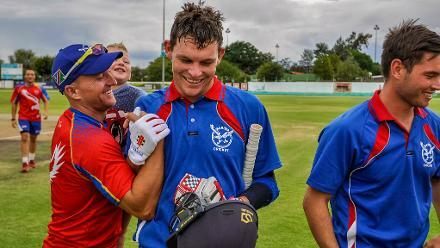 But, Namibia’s greater depth came to the fore, as Coombe then took four for 24 to cap an excellent all-round display. St Helena were rolled out for 90, giving Namibia another massive win.